Many people have a general understanding, or have at least heard, of the statute of limitations. This is a state statute that places a specific time limit on the ability of a plaintiff to file a civil case against a defendant, or defendants, for alleged harm. 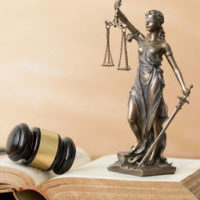 In the context of a personal injury lawsuit or product liability lawsuit, the statute of limitations is two years from the date of the alleged harm, according to Tex. Civ. Prac. & Rem. Code § 16.003(a)-(b). The statute of repose in Texas is fifteen years. This means that if a plaintiff fails to file a lawsuit in this period of time, there is a viable defense to have the lawsuit thrown out of court. There is an exception to the general 15-year statute of repose. The exception may apply when a manufacturer or seller expressly warrants that a product’s useful life is longer than fifteen years. In a recent IVC Filter federal lawsuit, In re Cook Medical, Inc. IVC Filters Marketing, Sales Practices and Product Litigation, 2017 U.S. Dist. LEXIS 82761 (S.D. Indiana May 31, 2017), the court addressed how the statute of repose applies in the context of a drug and medical device class action lawsuit. In this case, the defendant filed a motion to dismiss multiple injury claims on the grounds that they were barred from going forward due to the statute of repose. The dismissal motion involved claimants residing in Texas, Tennessee, and Georgia. The plaintiff who resided in Texas tried to argue that their claim was not barred under the statute of repose because they were told that the IVF filter would remain function permanently. The plaintiff also pointed to the Patient Guide which contained a statement that an IVC Filter would be effective as either a “permanent or temporary device.” However, the motion to dismiss was based on the pleadings of the lawsuit which means that outside evidence is not considered. A review of the complaint did not contain an allegation that IVC filters were marketed as permanent devices. This led the court to rule that the omission of a specific warranty allegations “is fatal” to the lawsuit. The court went further by declaring that even if the complaint contained an allegation related to permanence the claim would still fall short because the plaintiff failed to allege an individual warranted permanence and there was no evidence of reliance on the alleged warranty. The law firm of Colvin, Chaney, Saenz & Rodriguez, L.L.P. features experienced Brownsville product liability defense attorneys who are ready to assist you or your company with your legal matter. You can rely on our team of attorneys to pursue every available option in an effort to secure a favorable outcome in your case.